What is the best shoe height? When thinking about the best shoes of 2017 for women it is important to keep the Fendi brand in mind. Open-toe mules made from black and mustard-colored calfskin, with the characteristic undulating Waves pattern. The heel is made from very soft nappa leather and can be folded inside to wear the shoe either as a mule or as a pump. 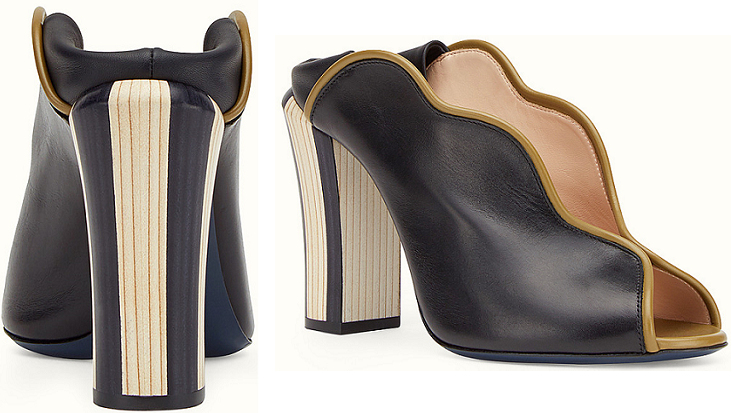 The high, wide heel is covered in two-tone leather. Made in Italy. Learn more about the above footwear at the Fendi website. View some of our favorite women's Fendi sandals of 2017.